The Bears are a bad team at home this season. After dropping their sixth game at Soldier Field this season with a 24-21 loss this Sunday after another Robbie Gould shank the Bears are back to the drawing board with three games left on the docket. Gould has missed three field goals over the last two weeks including a possible 36-yard game winner last week and a 50-yarder that could have tied it up late this Sunday. He's owed $6 million over the next two seasons and it's really a shame to see him struggle as it appears his long Bears career might be coming to an end. Jay Cutler and the offense battled penalties all afternoon and the running game wasn't a big factor as they added three touchdowns combined in the second and third quarters. Washington isn't that good of a team, but somehow in a very weak NFC East they are tied atop the division with Philadelphia at 6-7. For the Bears, they are now 1-6 at home this season and have gone 3-12 over their last 15 games on their home grass. 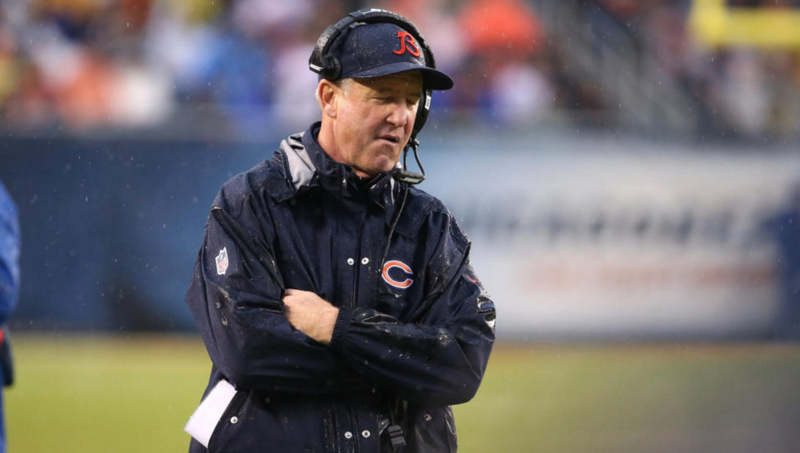 Here are some notes from the latest Bears loss. -The Bears got nice afternoons from outside linebackers Willie Young and Lamarr Houston. Young had three of the team's six quarterback hits along with four tackles, a sack and three tackles for a loss. He now has 4.5 sacks over the last four games. Houston led the team with nine tackles along with two tackles for a loss, a sack and a quarterback hit. -Jay Cutler had a nice afternoon as he completed 19-of-31 attempts for 315 yards, two touchdowns and no interceptions. He was sacked three times, but fought his way through some tough situations even towards the end of the game. -Catching six of nine targets for 107 yards and a 20-yard touchdown, wideout Alshon Jeffery did plenty of damage on Sunday. He continues to excel and looks like a sure player for the franchise tag or hopefully a long term deal. -In his second start in the place of injured Martellus Bennett, Zach Miller had a very nice day with eight grabs for 85 yards and a touchdown. He's going to be re-signed no doubt this off-season and could easily take over as the No. 1 tight end on a permanent basis. -Kyle Fuller reeled in his second interception of the season when he jumped a route in the third quarter. He made a great play on the ball and more performances like that will add confidence to his side moving forward. -Robbie Gould has three weeks to get it together or he'll be getting the boot which is very unfortunate for him. His career could be dwindling before our eyes, but he should still go down as one of the best of all-time. -The Bears' defense allowed 7-of-12 third-down conversions from Washington as they passed 13 times for first downs and ran 10 times for first downs. Washington beat the Bears quite a bit in the time of possession battle 34:22 to 25:38. -Jeremy Langford didn't do much on the ground with 11 rushes for 37 yards and three catches for 27 yards. He only caught three of seven targets and dropped a couple of easy pass attempts. -It was a quiet day for Eddie Royal as he was only targeted two times, adding a catch for 15 yards on a screen pass. Royal needs to step it up over these final three games or he might not be back. -The Bears' inside linebackers were not very good as Jonathan Anderson and Shea McClellin both struggled in coverage. Tight end Jordan Reed burned them so bad for nine catches, 120 yards and a touchdown. That position is unsettled for next season. Overall, it was yet another bad game at home for the Bears. At 5-8, their playoff hopes are well in the rear view mirror, but these last three games will be auditions for almost the entire team. The Bears will travel to Minnesota to take on the Vikings in a divisional matchup. Thoughts on the Bears' loss to Washington on Sunday. Make sure to weigh in below.